Laura received her Masters of Science in Physiotherapy from McMaster University in Hamilton, Ontario and previously her Bachelors in Kinesiology from the University of Calgary in Calgary, Alberta. Being a native Calgarian, it was an easy choice for her to return to Calgary upon graduating. She has treated clients with a wide variety of injuries and conditions whereby she learned the importance of continued education and an integrated treatment approach. Laura has completed several post-graduate courses to provide more comprehensive treatment to her clients including acupuncture, manual therapy, Gunn intramuscular stimulation (IMS) and active release techniques. Post graduate courses are important to her as they enable her to provide a more comprehensive treatment approach to her clients. Her clientele includes a variety of individuals from the young to the elderly with issues arising due to inactivity all the way up to those from being elite level athletes. Her treatment approach combines a thorough analysis of each individual’s issues to identify the cause of the problem in order to find the solutions. Treatment therefore incorporates therapeutic exercises and stretches, hands on manual therapy, Active Release Techniques (ART), Gunn IMS (GIMS), the potential of Acupuncture to enhance recovery and electrotherapeutic modalities to decrease pain and inflammation. She enjoys treating all injuries and conditions but has a special interest in shoulders, the spine and the knees as well as pre and post natal issues and sports related injuries. She herself enjoys a variety of recreational, sport and fitness activities including running, yoga, pilates, climbing, swimming, cycling, hiking, cross-country skiing and the benefits of regular strength training. Her idea of health and wellness is achieving the right balance in all facets of life and when she is not at work she is enjoying life with her husband and daughters. Chelsey graduated from the University of Saskatchewan in 2007 with her Bachelor of Science in Physical Therapy with distinction. Before joining the Active Physiotherapy and Wellness Centre team, she worked in private practice physiotherapy clinics in Ontario, Saskatchewan and British Columbia. She gained valuable experience and knowledge in each clinic, working with a variety of patient populations and treating a range of injuries and conditions. Chelsey has completed several post-graduate manual therapy courses and is certified in medical acupuncture through Acupuncture Canada, as well as Intramuscular Stimulation Gunn IMS. She believes in working with her patients to come up with a treatment plan to meet their specific needs and goals, whether it be running a marathon or walking a block pain-free. Chelsey believes in taking a well-rounded approach towards treatment. Based on her assessment findings, treatment may include a variety of hands on manual therapy techniques, patient education, exercise prescription, therapeutic modalities such as TENS and ultrasound, medical acupuncture and/or IMS. Outside of the clinic, Chelsey enjoys running, hiking, strength training, travelling, and spending time with friends and family. Paul graduated in 2006 from the Canadian College of Massage and Hydrotherapy (2280 hours) in Halifax with certification in sports massage, and has been working as a registered massage therapist ever since. Previous to that, he earned a Bachelor of Kinesiology and certification as a personal fitness trainer. Paul is dedicated to treating a variety of conditions, such as overuse injuries and postural and joint dysfunctions. With his background in Kinesiology, he is well suited to work with you and your physiotherapist to achieve maximum results. Paul has flourished in a number of work environments, like ski and golf resorts, on cruise ships, and in clinics providing deep tissue therapeutic treatment and relaxation massage. He truly embodies the concept of high quality 'client care'. In his free time, he enjoys triathlon training, hiking, and skiing, along with various other sports. During his university years, he was a member of the varsity cross country running team, competing three times at the national championships. Paul's knowledge as a massage therapist, stems not only from his education and work experience, but from his own athletic experiences. He is very passionate about helping people in their rehabilitation from injury and everyday aches and pains through very specific and thorough treatment. Paul is a member in good standing registered with the National Health Practitioners of Canada Association (NHPCA). Dr. Yvonne Cheng is a graduate of Traditional Chinese Medicine and incorporates ancient medicine into modern clinical practice. Following her studies in Canada, Yvonne completed a clinical internship at the Traditional Chinese Medicine Teaching Hospital in the Sishuan Provinice of China. During that time, she studied under the most prestigiuos Doctors focusing her practice on gynecology, fertility, cosmetic acupuncture, weight loss and neck and lumbar pain. Drawing on the roots of Traditional Chinese Medicine, her goal is to guide your personal growth towards realizing your health and wellness potential. 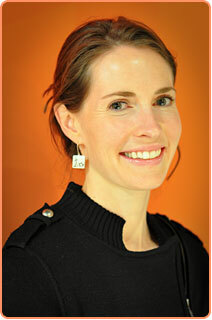 Her passion is focused on anti-againg, weight loss protocols and fertility treatments that are natural and effective. She strives to identify and treat the cause of imbalances instead of masking the symptoms as she believes with the right approach, your body has the ability to heal itself. Acupuncture can help you look and feel radiant from the inside out. This all natural approach boosts collagen and leaves your skin glowing. Touted as a natural alternative to Botox, facial acupuncture is a non-surgical procedure that reduces the signs of aging by channelling blood and oxygen to the face, leaving you feeling calm, rejuvenated and gorgeous. Acupuncture is a gentle yet powerful approach to weight loss. By curbing appetite, quelling cravings, boosting metabolism, improving digestion, regulating obesity-related hormones and enhancing the way nutrients are used, acupuncture is an effective adjunct therapy to achieve your personal best. Acupuncture can increase fertility by increasing blood flow to the reproductive organs and balances the endocrine system and at the same time, reduce stress. When used in conjunction with Western treatments, acupuncture can increase conception rates by 26%. The goal of the fertiliy treatmenst is not just to get pregnant, but to stay pregnant and deliver a healthy bady. Shane Besler graduated from the University of Calgary, with a degree in Kinesiology - Health & Exercise Physiology. Shane demonstrated a passion for sport from a young age when he began participating in many team and individual activities. He later focused his energy on competitive swimming throughout University as a member of the varsity team. Shane combined his love of swimming with cycling and running after graduating and began a successful Triathlon career in which he represented Team Canada at the World Olympic Distance Championships. He later raced 7 Ironman's 3 of which were World Championships held in Hawaii each year. During this time Shane shared his passion and knowledge for Triathlon and Swimming by coaching a number of Teams both in swimming and triathlon here in Calgary. 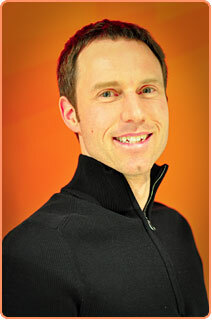 His clients have gone on to have successful marathons, olympic distance & long distance triathlons including Ironmans. Shane's thirst for adventure has turned to mountain biking, cross-country skiing and Xterra events. When Shane is not out on the trails enjoying the mountain air he enjoys spending quality time with his wife and daughters.